RepeaterTeletronics' EZPlatform™ AP/Hotspot/Repeater is designed for high-power access point, hotspot and repeater applications. A powerful end-to-end system for a wireless Internet network can be built byintegrating the EZPlatform™ with Teletronics TT™ subscriber units andother radios. 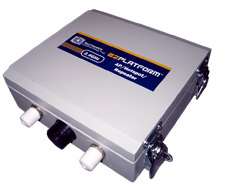 The simplicity of use of the EZPlatform™ allows operators to quickly bring service to their customers, and with its two serial ports andtwo Ethernet ports the unit can easily incorporate GPS, GPRS, RFID, VoIP,surveillance cameras, field meters, motion sensors and data networks formultiple industrial and commercial applications. The EZPlatform™ is availablein single or dual radio configuration, with 1 W (2.4 GHz) and 600 mW (2.4/5.8 GHz) radio card options.